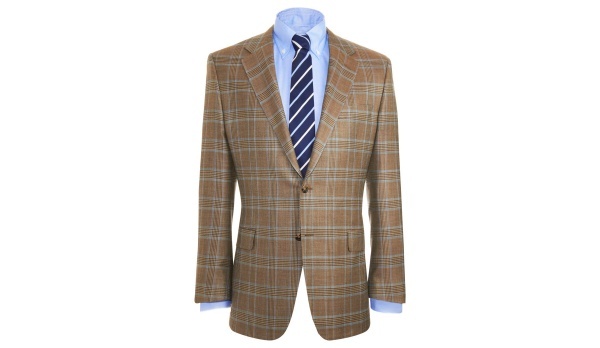 For a more complete look in the cool spring evenings, eschew the blazer, and pick up something like this Astor model plaid sportcoat from Hickey Freeman. Cut full with full silk lining, two buttons and notched lapel, this sportcoat features wool-linen blend for construction. All these factors – the liner, the mixed wool – give it a unique combination of warmth and breathability, making it perfect for the season. Available online now. This entry was posted in Sportcoats, Tops and tagged Hickey Freeman. Bookmark the permalink.